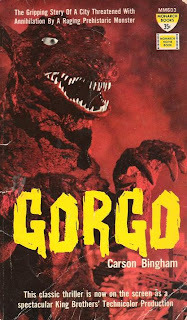 BLACK HOLE REVIEWS: GORGO (1961) - happy 50th birthday! GORGO (1961) - happy 50th birthday! 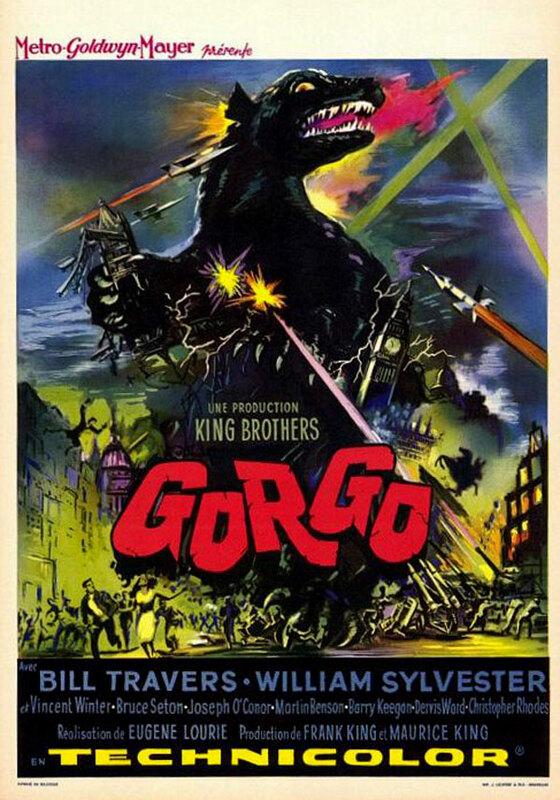 Released in the UK fifty years ago today, Gorgo remains Britain's closest thing to a kaiju eiga, a giant suitmation monster movie. If vintage dinosaur movies are your thing, or if you love seeing London in even more chaos than usual, this is absolutely for you. It was fantastic to see a clip from the film recently appear in Joe Dante's 3D teen-chiller The Hole (2009). Gorgo lives! In 1961, Godzilla had yet to appear in colour (in King Kong vs Godzilla the following year). Director Eugene Lourié recycled the plot of his The Beast from 20,000 Fathoms (1953) and the London setting of Behemoth the Sea Monster (1959), but this time used a man in a monster suit rather than stop-motion animation. In fact it was Lourié's The Beast From 20,000 Fathoms, together with a re-release of King Kong (1933), that inspired Toho Studios to make the very first Godzilla movie. 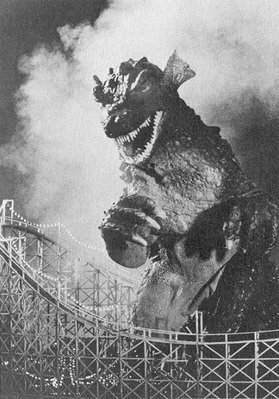 So I'm reluctant to label Gorgo as a rip-off of Godzilla. Lourié got there earlier, along with Ray Harryhausen's stop-motion animation and Ray Bradbury's story, of course. Two salvage experts limp into harbour on a remote Irish island after a volcanic eruption damages their freighter. Before they can make repairs, a dinosaur emerges from the sea terrifying the local fisherman. They decide to capture the creature, load it onboard and sail it to London to make their fortune. 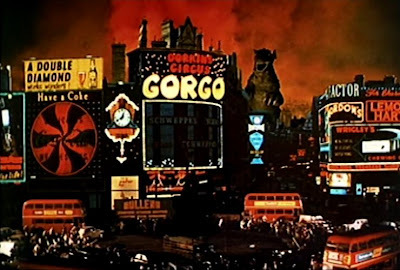 After a few fatal accidents, Gorgo is installed as an attraction in Battersea Funfair (just next to the famous power station). 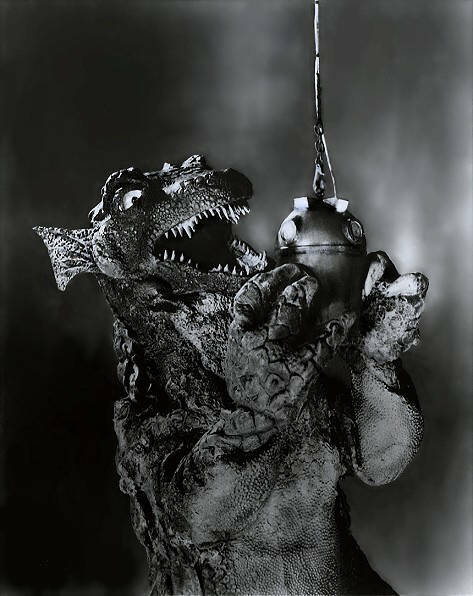 Gorgo is made very like an early Godzilla movie, (a man in a suit amongst detailed miniatures) making it a peculiarly unique British monster film. The modelwork and special effects are from some of the finest technicians of the time, some of whom went onto work on 2001: A Space Odyssey, but obviously with a much bigger budget. Gorgo's special effects are hit and miss, but easily on a par with the Japanese monsters of the time. The almost excessive use of Technicolor borders on the surreal, especially when the night sky is lit up with red smoke as London burns. 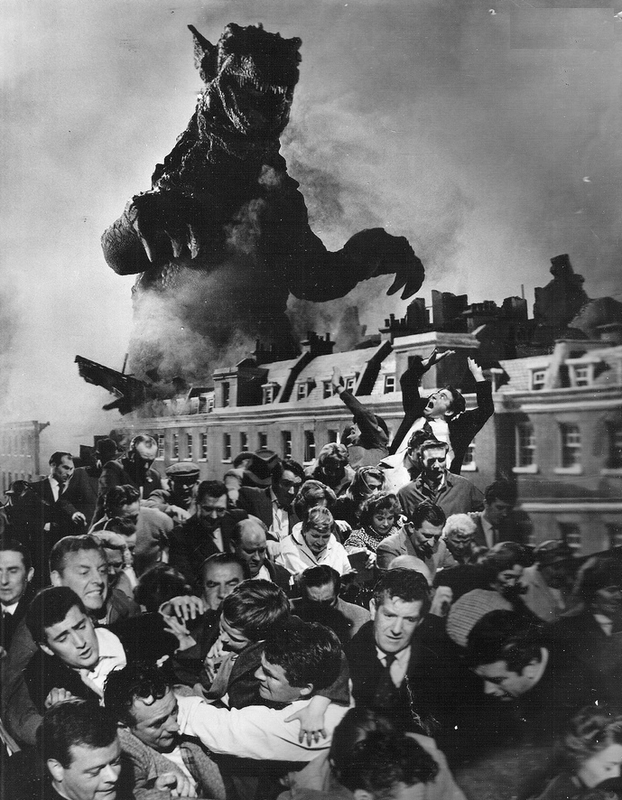 I particularly love this great optical composite of Gorgo stomping through Soho towards (and through) Piccadilly Circus. The monster suit looks fantastic on film, the creature's actions are suitably 'undercranked' to make it look huge (a technique often underused in the Japanese films), and the modelwork is just as detailed, laid out as a huge cityscape of central London. They even use a fullscale Gorgo to transport around London on a flatbed lorry, (to publicise the new attraction) with a full-size prop of its claw to smash unwary fishermen in their boats. The head is quite animated, with a convincing jaw movement, glowing red eyes and wiggling ears! The feet and claws are huge and look lethal. The only weak point of the suit is the belly which looks and acts like wrinkled material. However, unlike the heavy latex Godzilla suits, this allows the stuntman inside to twist dramatically, to pose and move more dynamically. The suit also had to move in the water and not catch fire too easily - pity the poor guys inside, including jockeys-turned-stuntmen Dave Wilding and Mick Dillon. The story has humans too. The stars are William Sylvester (2001: A Space Odyssey, The Hand of Night) and Bill Travers (Born Free, Ring of Bright Water, The Smallest Show on Earth) as the two greedy bastards who cause all the trouble in the first place. They sort of a adopt a boy from the island, which is rather progressive for the time. He's played by Vincent Winter, an Oscar-winning child star who went on to work as production manager on Indiana Jones and the Temple of Doom, The Color Purple and Superman II. Gorgo certainly isn't low-budget, with some impressive sets (like the war room and the flooded London Underground) and with extensive crowd work to show London's citizens fleeing in panic. Indeed, cinematographer Freddie Young's next picture would be Lawrence of Arabia. He certainly knew how to make flamethrowers look good. But it's not high budget either, relying too heavily on a mish-mash of stock footage of destroyers and jets before Gorgo hits London. While the modelwork holds up well during the night-time, the early daytime scenes of the boat in a tidal wave are unconvincing. There was certainly enough to fuel a particularly funny Mystery Science Theater 3000 (MST3K season 10, 1998). I enthused about Gorgo in an extensive article for G-Fan magazine (issue 49, January 2001). I still think it's entertaining as an action-packed monster movie, or as a far-fetched tale with nutty logic and oldschool special effects. It's also an evocative trip around London in 1960. 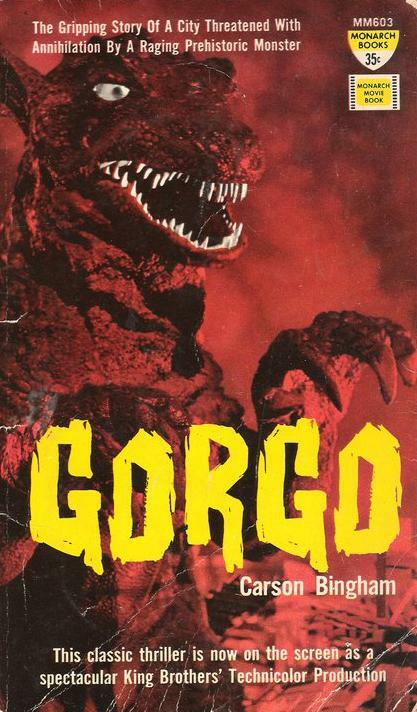 So I'm annoyed that Gorgo still isn't on DVD in the country where it was made. So far, the DVD and laserdisc releases have been disappointing because of the quality of their source materials - a lot of visible film damage and washed-out colours. The DVD compression has also struggled with the grain, darkness, sea spray and smoke. 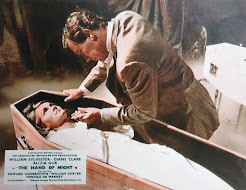 I've seen it look far better, with vivid technicolor on British TV, transferred from a clean print with a sharp image. 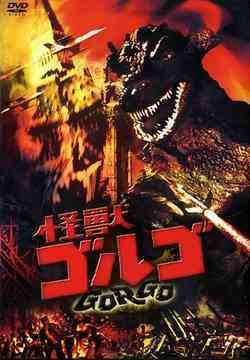 That's the version that I'd like to see represent Gorgo worldwide. The more recent Japanese DVD (pictured) appears to be a close duplicate of the American VCI DVD and has the same extras. The quality of the film transfer is again slightly soft and the edges of block colours are blurry. It's accurately presented in 1.66 aspect, non-anamorphic. Director Eugene Lourié later provided the extensive special effects for Crack In The World which recently warranted a Blu-ray release. Gorgo is jealous! Some interesting thoughts on Gorgo's production from WTF Film. A review and screengrabs of a German DVD release from a WTF review. I remember that G-Fan article Mark, great stuff. Like you its a shame that Gorgo isn't available in the UK, and that the current overseas DVDs are less than stellar - it needs someone like Classic Media to do it right. What I loved about Gorgo was that, unlike the US monster movies, the Gorgo's are not defeated and portrayed as a creatures acting on instinct rather than evil. So good that Toho borrowed the plot for Godzilla vs Mechagodzilla! I recently made a pilgrimage to the old neighborhood, walking from my home to the Encino Theatre on the very Saturday morning marking the 50th Anniversary of when I first saw it, so that shows you what a huge fan of that film I am. The theatre is long-since gone but the wonderful memories remain; what a fine film! I had to laugh when I saw the Monarch novelisation. I came across one of these for Reptilicus several years ago. I hadn't seen the film yet and was a bit taken aback when I started reading. I thought "those Danes must have a pretty liberal film rating system!". For years, the novel and the GORGO comics were the only collectables out there. haha...never heard of this character. totally agree that every culture/country should have its own godzilla. I'm glad GORGO has fans in the US as well. I thought it was just a London thing. I even went to the site of the now defunct Battersea Funfair to research an article about the movie. Shinto, you've answered a question for me about where those scenes were shot. I thought it was somewhere remote! Have you any recent photos of the area that we might recognise from the film? And I can't see Dalky Island on the map anywhere. Was it a location, or do you see it in the distance in the movie? 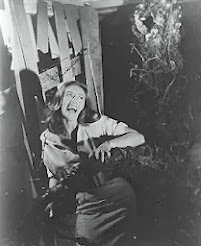 Any luck with those photos of GORGO island? Sorry i forgot about this, i was their yesterday and was thinking about the flick, so ill get right on it,a vid and some pics, sorry about the long delay. 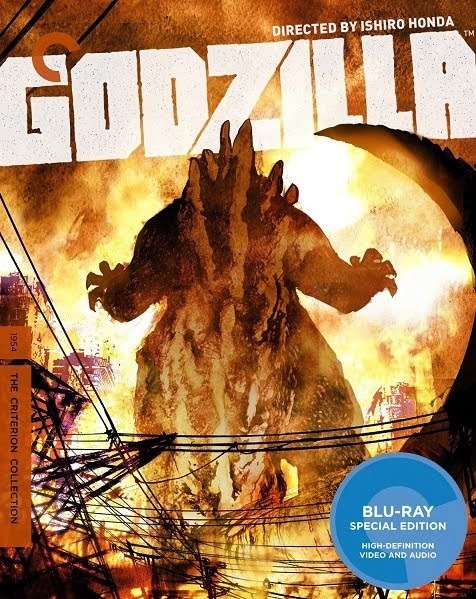 Did you see that GORGO is now on blu-ray?